Janet Comes from Boundary Bore in the Utopia region. 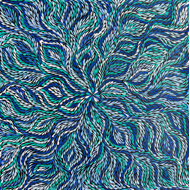 She comes from a long line of artists with her grandmother the world renowned indigenous artist Emily Kame Kngwarreye. 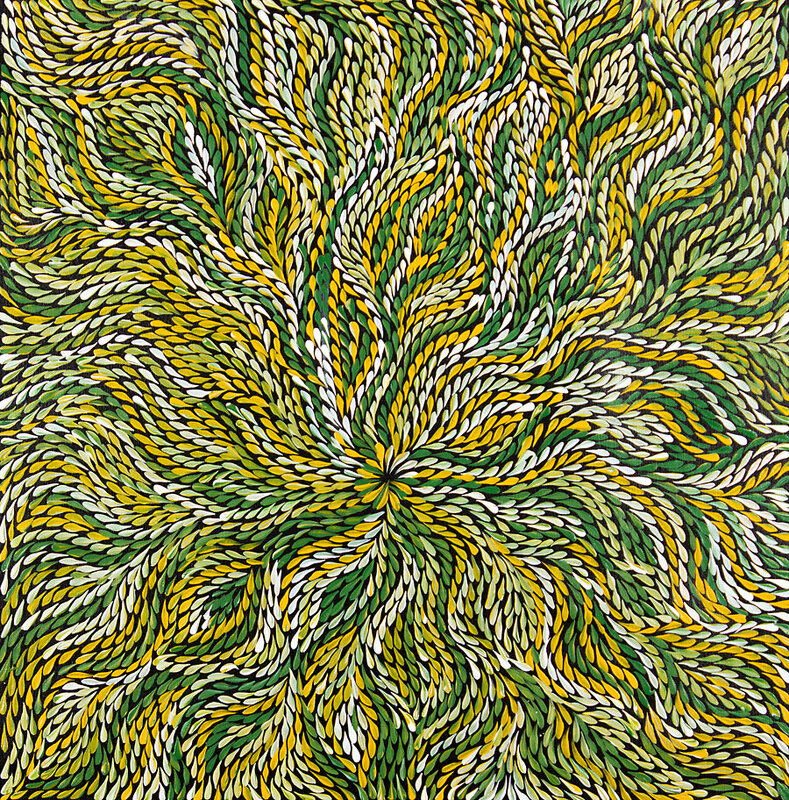 Janet grew up in Alice Springs but moved to Utopia when she was a teenager. 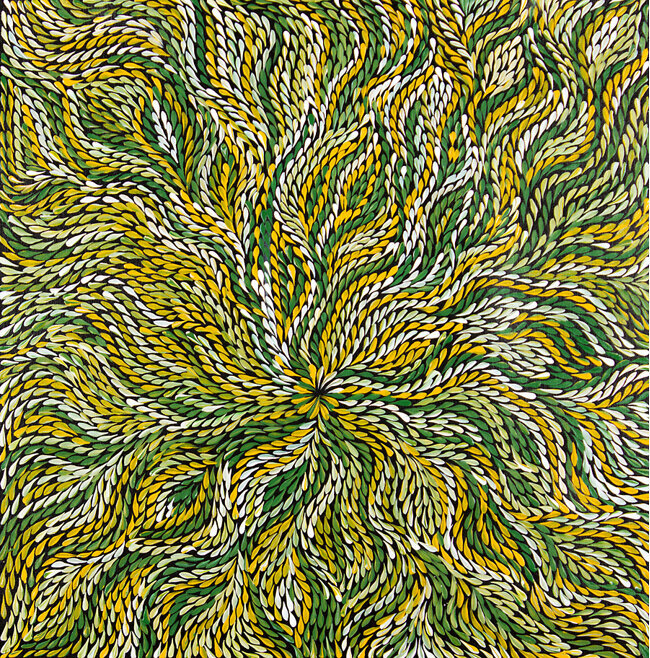 Growing up in this area she used to watch her grandparents paint and developed her style from there focusing on bush leaves, yam dreaming and women's body paint.